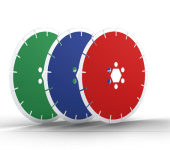 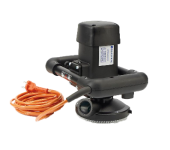 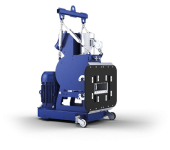 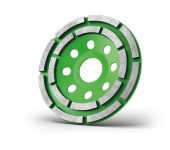 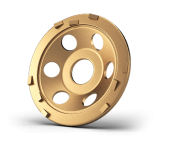 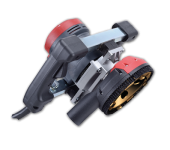 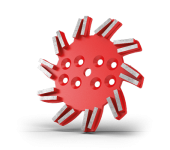 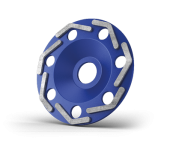 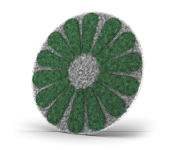 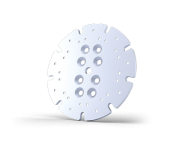 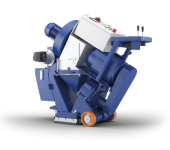 Single headed disc grinders use horizontally rotating discs to perform a multitude of tasks, from light texturing to open the pores of the surface, to the removal of paints and thin coatings. 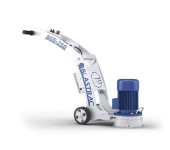 With the new Blastrac single disc grinder BG-250TWIN, you can achieve any type of job! 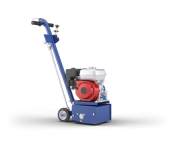 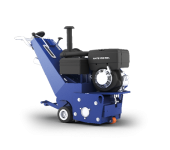 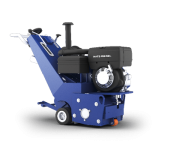 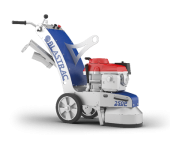 The Blastrac BG-250TWIN is a single disc concrete grinder that allow you to work with two different speeds. 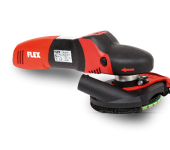 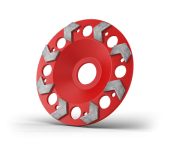 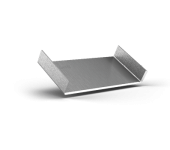 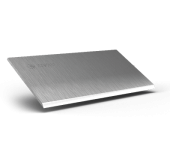 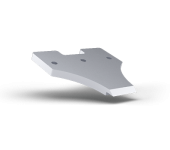 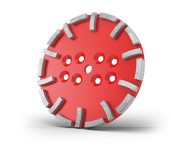 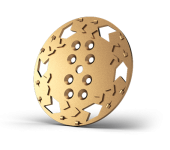 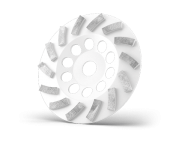 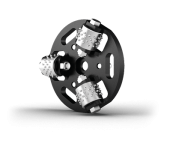 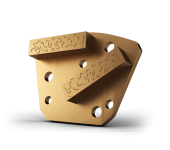 It is specially designed for fast and easy switching between normal grinding with diamond discs and using bushhammer tools. 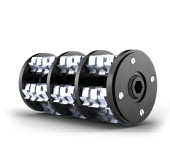 The special TWIN electromotor has 2 settings: LOW and HIGH speed. 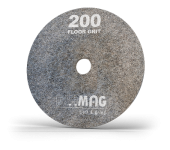 The HIGH speed setting gives the normal RPM’s for grinding and the LOW speed setting has the perfect RPM’s for bushhammer tools. 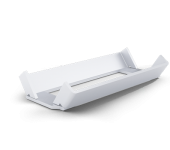 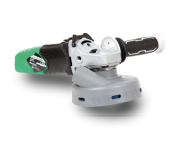 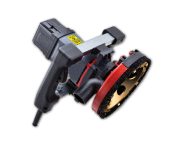 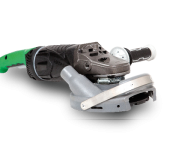 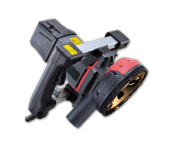 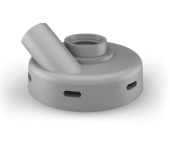 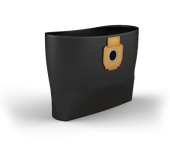 This feature eliminates the need for changing the pulleys every time you want to switch between normal grinding and bush hammer tool operation. 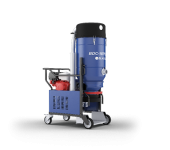 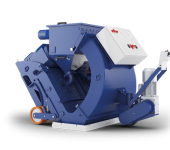 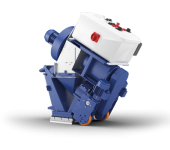 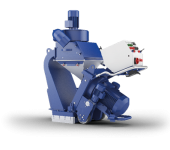 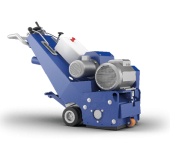 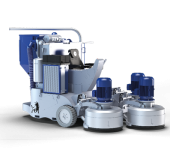 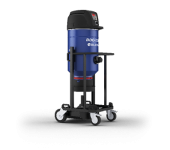 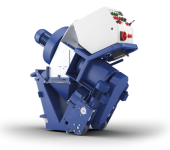 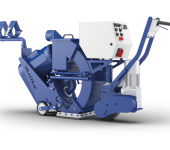 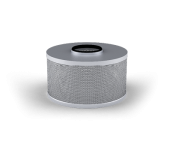 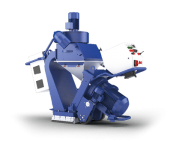 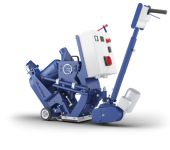 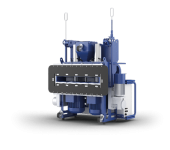 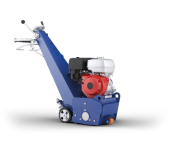 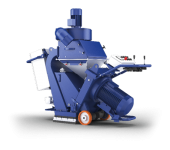 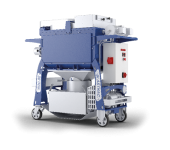 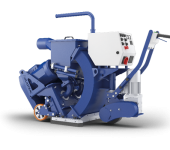 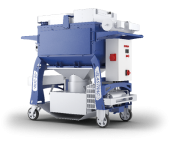 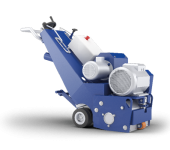 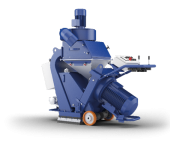 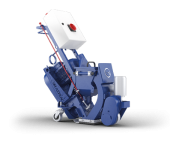 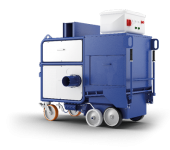 The BG-250TWIN single disc grinder is dust free when connected to the appropriate Blastrac dust collection system. 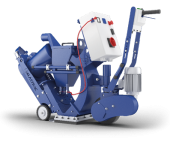 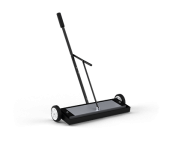 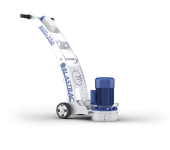 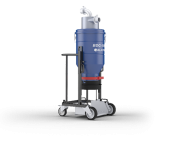 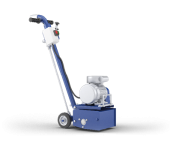 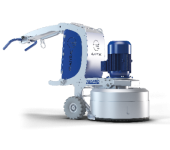 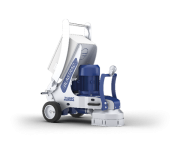 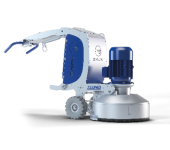 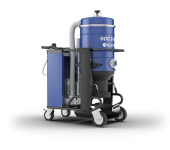 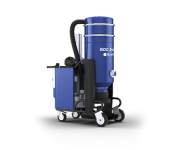 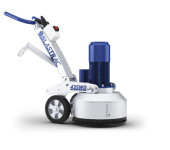 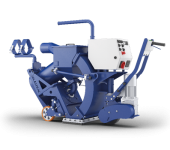 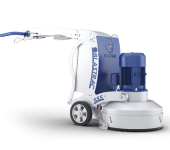 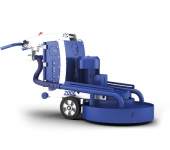 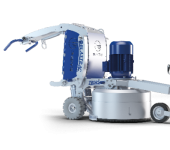 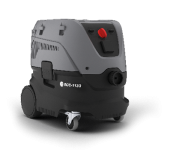 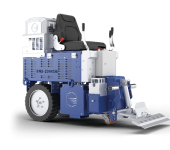 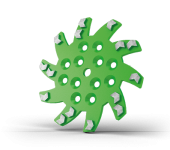 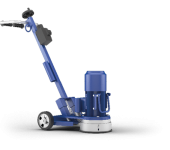 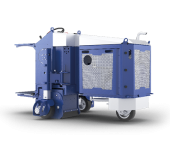 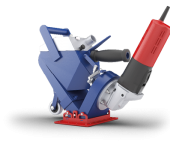 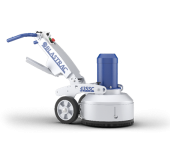 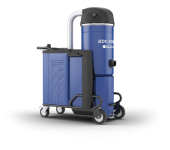 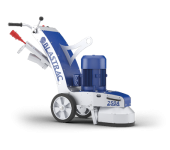 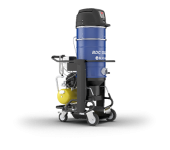 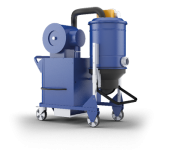 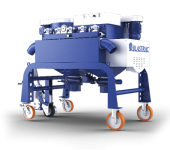 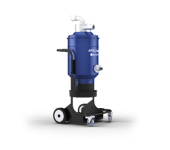 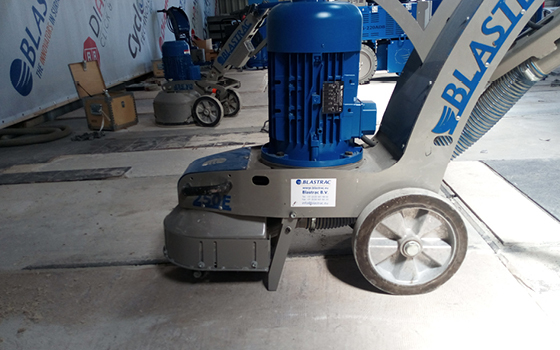 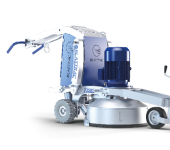 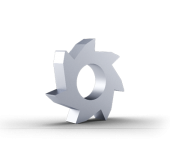 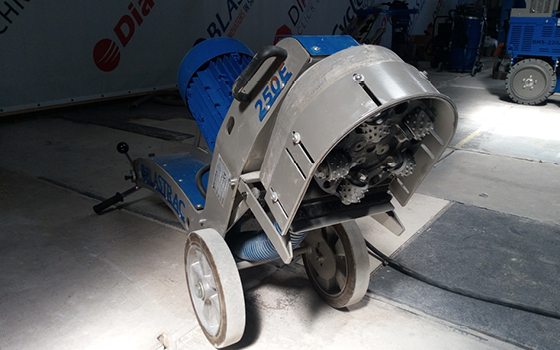 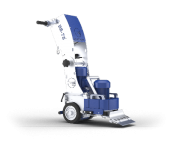 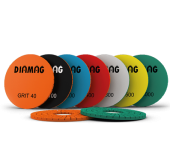 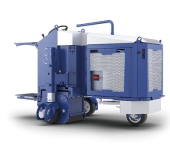 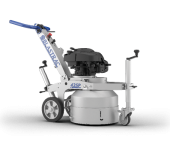 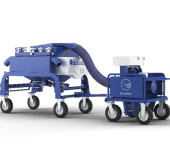 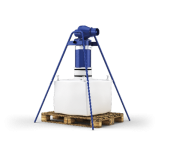 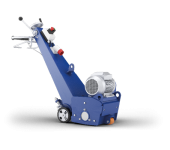 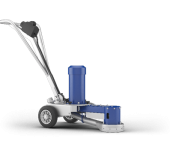 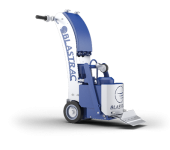 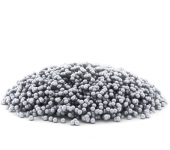 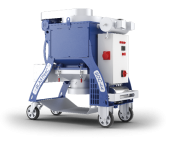 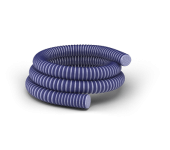 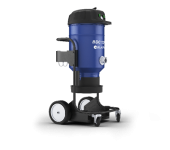 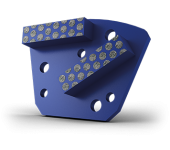 Blastrac has designed a full range of concrete grinders and diamond products, which gives the opportunity to treat any floor and specific application.